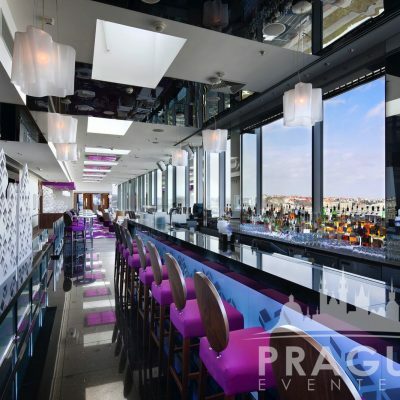 « Previous "Four Seasons Hotel" | Next » "The Mark Hotel Prague"
The Hilton Prague Hotel is located in a select area between Prague’s business district and the historic Prague Old Town. 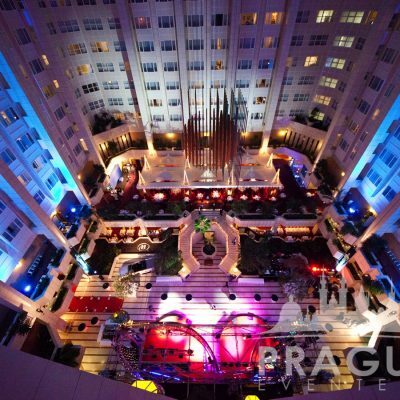 Each guest room in this award-winning hotel boasts an airy, comfortable atmosphere. Complimentary internet access is available in public areas. 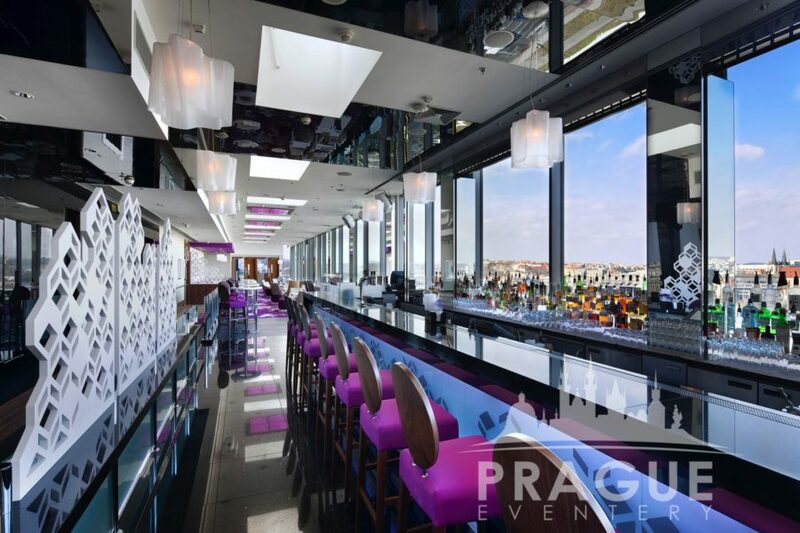 Upgrade to an Executive Room or suite for complimentary refreshments in the Executive Lounge. 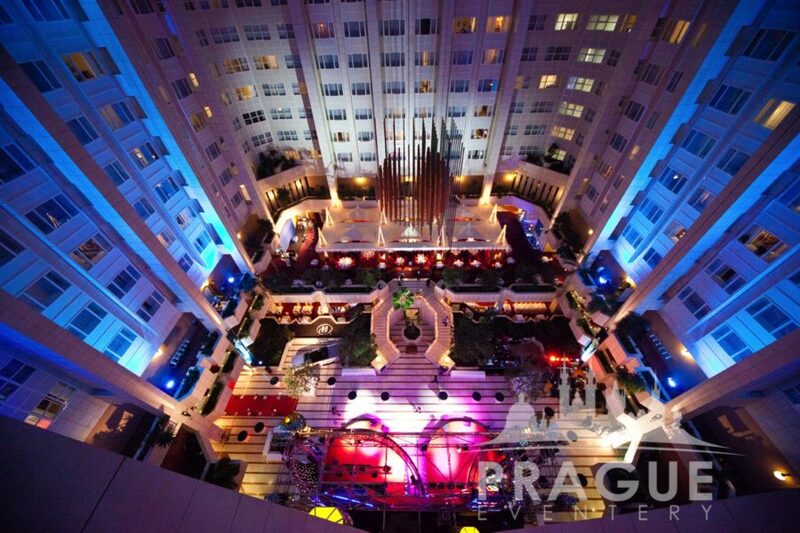 A favourite hotel complex for a Prague conference organizer due to the location and modern stylings. Select from three restaurants and two bars. 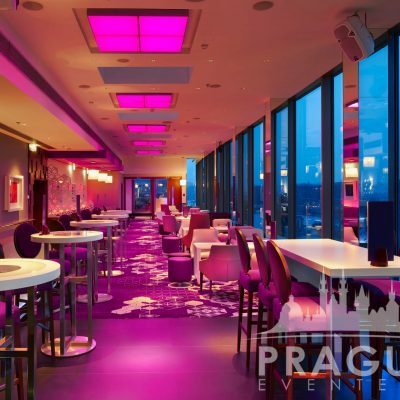 Sample traditional Czech dishes prepared with a modern twist at CzecHouse Grill & Rotisserie. 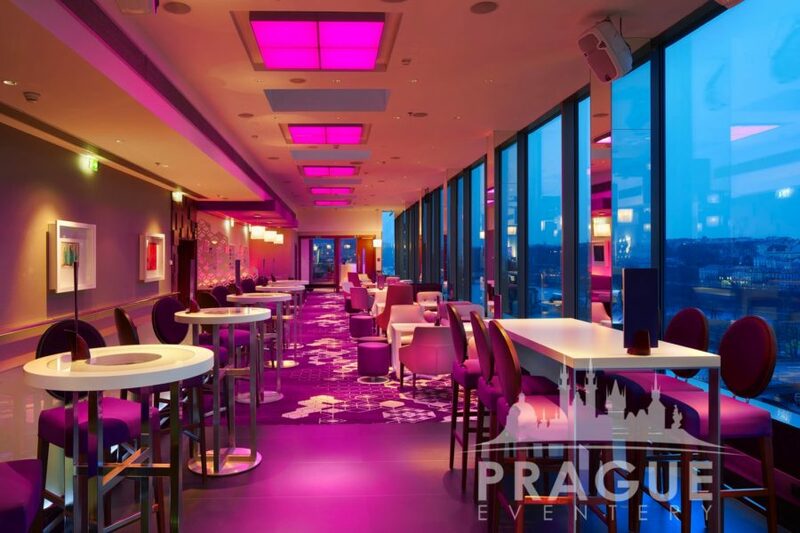 Indulge in a signature ‘Charisma’ cocktail at the rooftop Cloud 9 Sky Bar & Lounge while admiring stunning views of Prague. 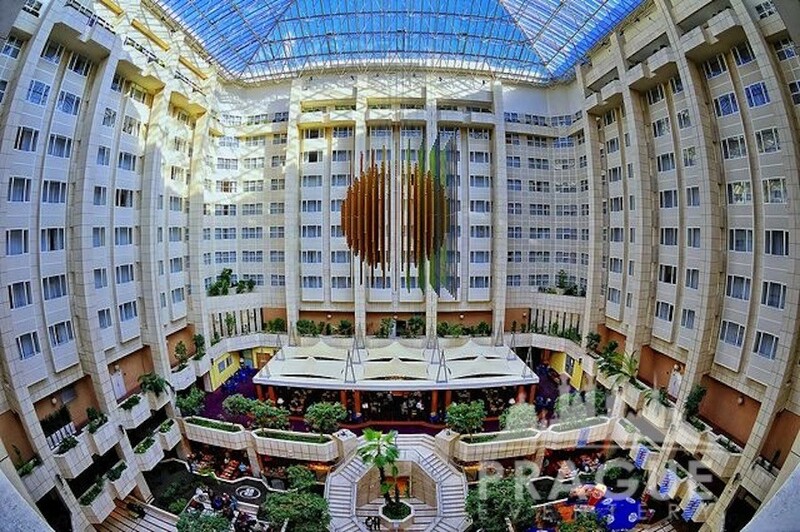 Cybex Health club and spa also calls the Hilton home. 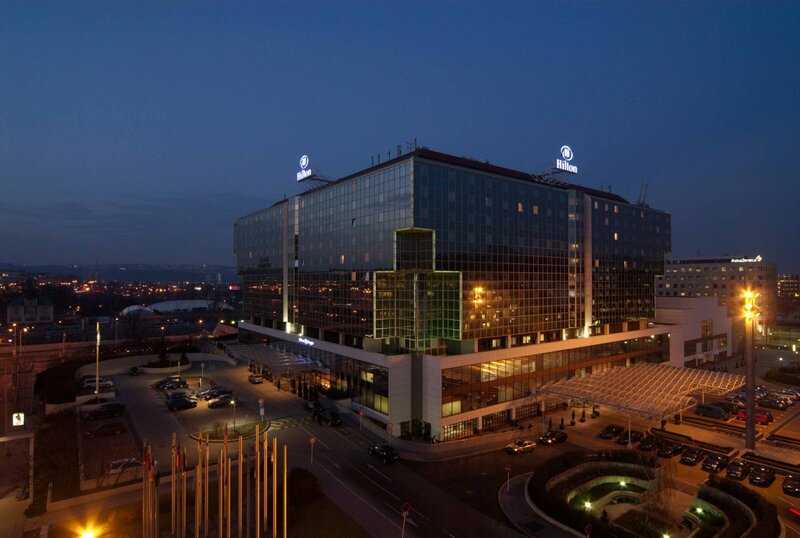 This 2,000m2 health facility is one of the most modern equipped fitness centers in the city. 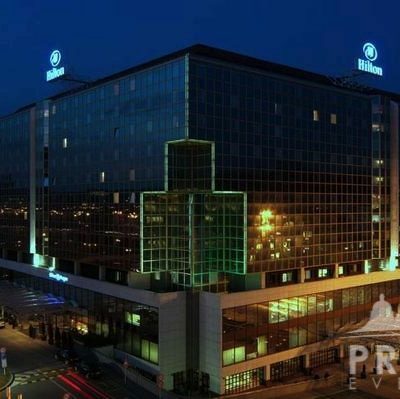 It encompasses an indoor swimming pool, fully equipped gym, sauna, steam room, solarium, sun terrace, massage services, aerobics, spinning and squash. There are also 3 putting greens and a climbing wall if you find you still have some energy to spare. Relax in the luxurious spa and beauty salon, where therapists soothe with a range of traditional, oriental and exotic massages and treatments. Try your luck in the on-site casino. 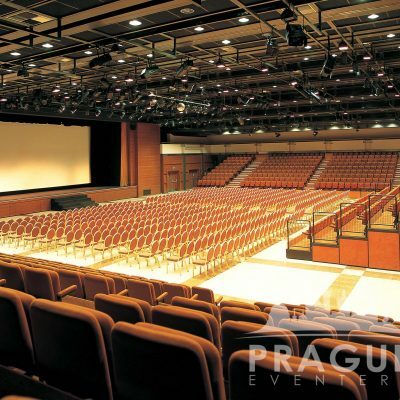 One of the main attractions of this property is the fact that it is the largest convention hotel in Prague, and can accommodate up to 1,500 people in its convention hall, which measures 1,200m2. 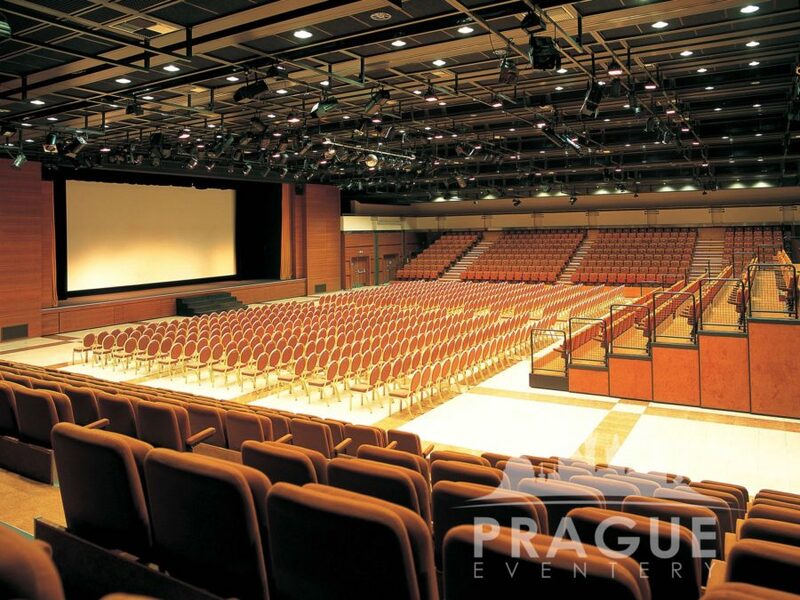 The vastness and amount of meeting rooms available allow a Prague conference organizer to maximise the space potential for an event. 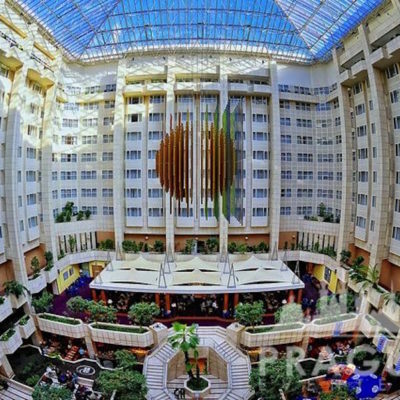 The hotel’s conference center is also very comprehensive, and contains a total of 38 versatile meeting rooms including the divisible Congress Hall, as well as a brand-new Hilton Grand Ballroom for up to 650 guests.